Running a business is already challenging on its own and the last thing you want to worry about is your roof. Your commercial roofing, however, plays a key role in protecting your hard-earned investments and as such, should be chosen carefully. 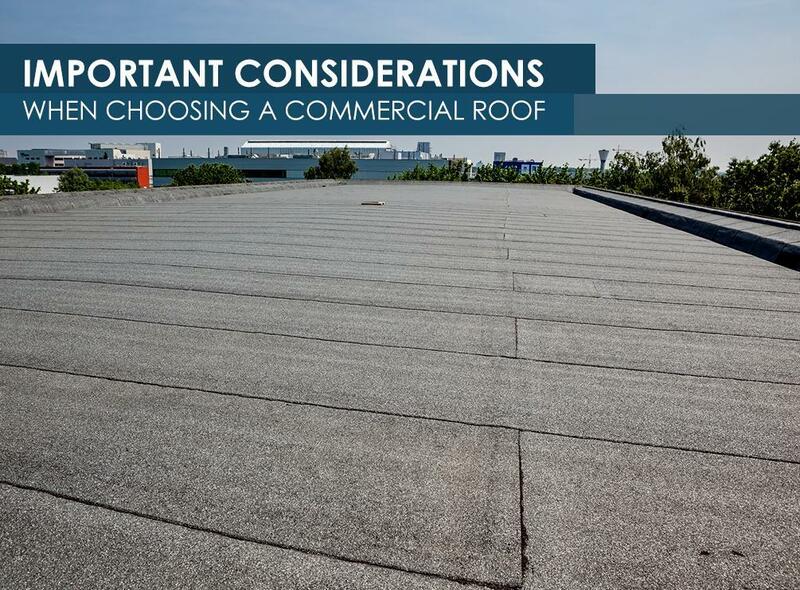 As roofers authorized to provide CertainTeed commercial roofing products, Rogers Roofing discusses some of the things you should consider when selecting the right roof for your property. You want to ensure your valued possessions have the necessary protection against the elements for a long period. For this, it’s important to choose a roof that will perform despite severe weather conditions. A perfect example of this would be CertainTeed’s Flintlastic® Self-adhering SBS Modified Bitumen roofing system. It’s made of premium materials and is engineered to provide longevity and unparalleled performance. Hot summers can encourage excessive reliance on your HVAC systems, leading to an increase in your energy bills. By choosing an energy-efficient commercial roofing product, however, you can maintain the right temperature in your property while lessening your reliance on your air conditioning system. For this, our CertainTeed Flintlastic Self-adhering Cap Sheet Modified Bitumen makes an ideal choice. They’re available in ENERGY STAR®-rated colors that will lessen the amount of heat absorbed by your building, leading to more energy savings. While a roof’s material and characteristics are important considerations, the people who install them can affect their overall performance. Fortunately, you can rely on us to ensure a proper installation of your commercial roof. With our years of experience, you can expect your roof to provide optimal performance for a long time. Our certified status also allows us to provide you with high-quality commercial roofing products. Aside from self-adhering modified bitumen, we also offer APP modified bitumen that shares similar qualities with the former. They can be installed in various ways and can withstand harsh climate conditions for years. Both of them come with strong warranties for your peace of mind. At Rogers Roofing, we specialize in different residential and commercial roofing materials. Rest assured that our products will meet your needs. We serve Northwest Indiana, Orland Park, IL, Crown Point, IN, and nearby areas. Call us today at (219) 228-8210 (Indiana) or (773) 492-2270 (Illinois) for a FREE estimate.